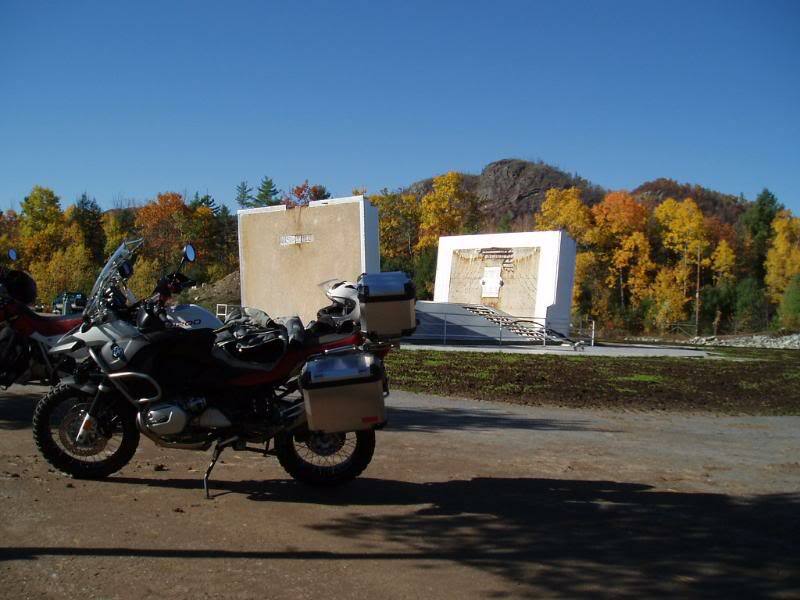 Discussion in 'Ride Reports - Epic Rides' started by Questor, Oct 22, 2007. 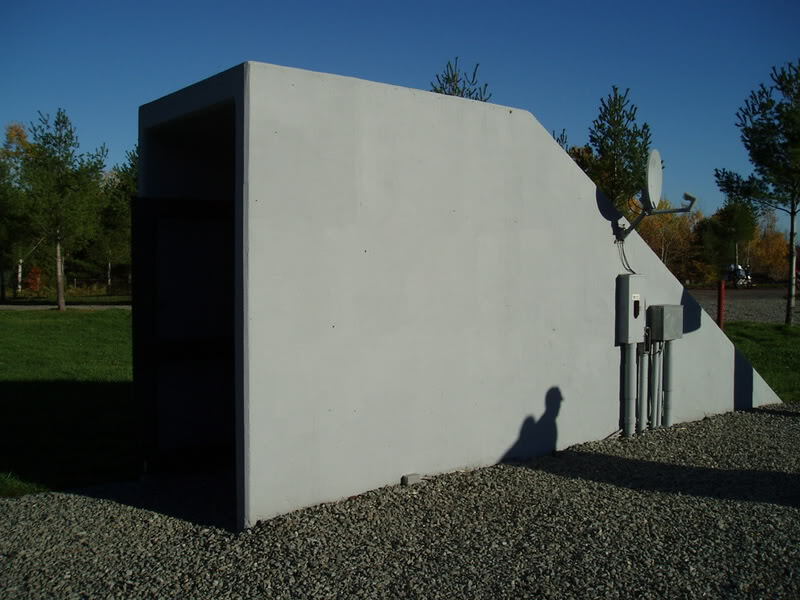 I had known of these Cold War Silos for a while, and began doing research. It turns out there is a ring of 12 Silos around Plattsburg Air Force Base. The person who owns it actually lives in <st1:country-region><st1 lace>Australia</st1 lace></st1:country-region>, so I made contact with him via E-mail, and made arrangements to visit him the next time he was in the <st1:country-region><st1 lace>US</st1 lace></st1:country-region> at his Silo. 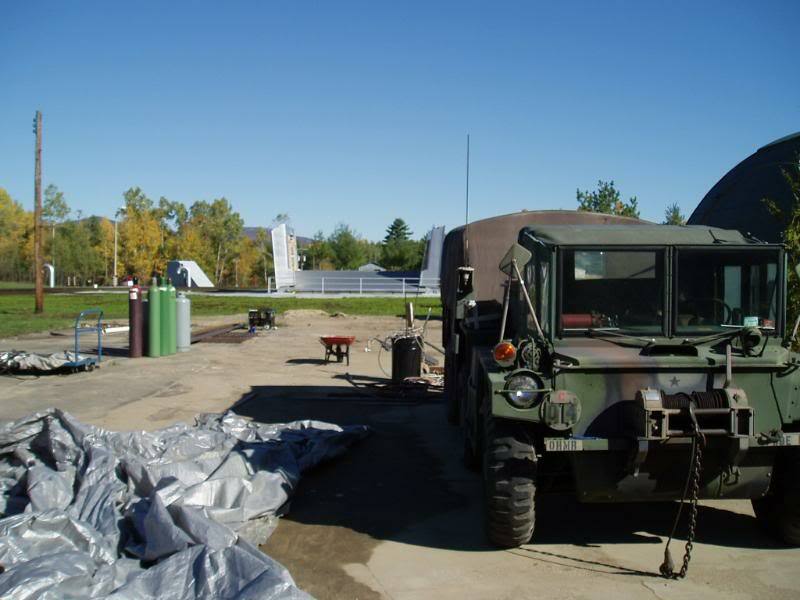 Construction began on the site in Lewis NY, known as Boquett 556-5 in June 1960. Throughout the next year, hundreds of workers dug the 12,174-foot-deep, 54-foot-wide holes into the solid rock. 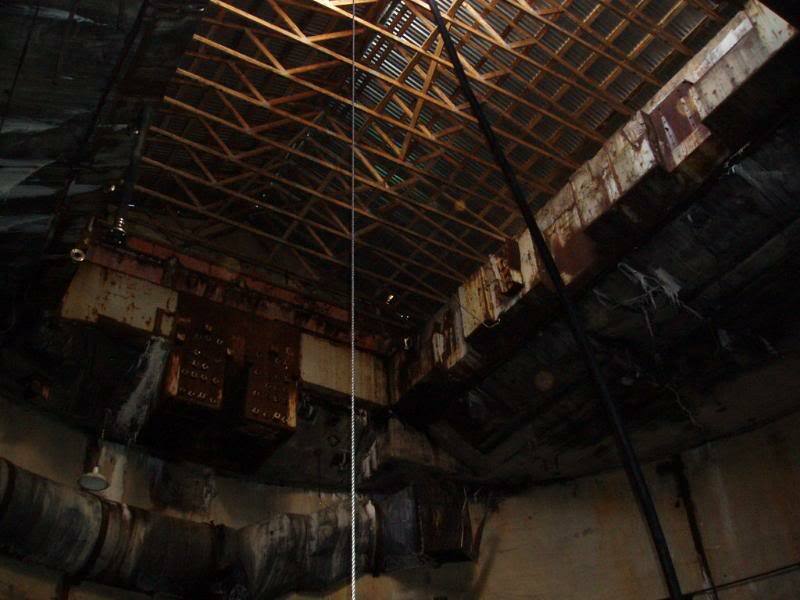 The first missile arrived in April 1962, and the silos were declared operational in December. It was a wonderful, clear, 70 degree day. 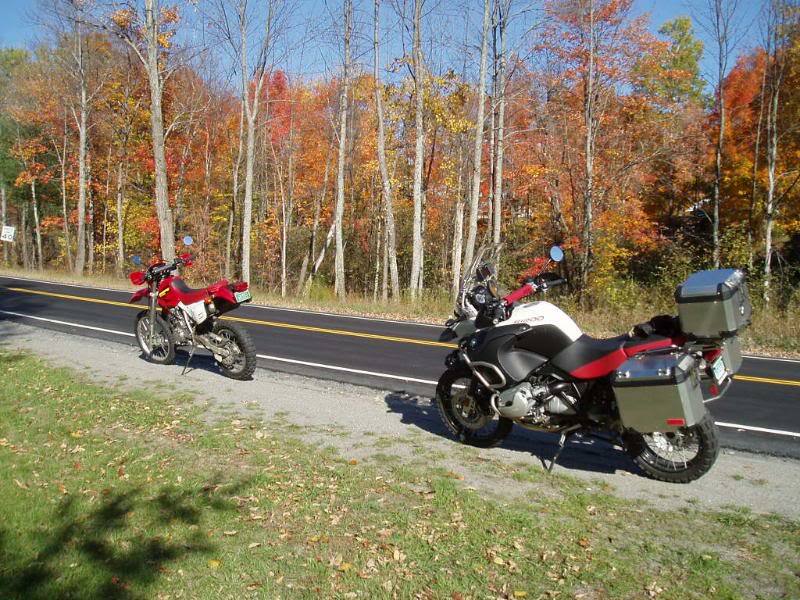 The leaves were all yellow, and red, and were quite hypnotic as we rode to the site. The roads were nice and twisty too. 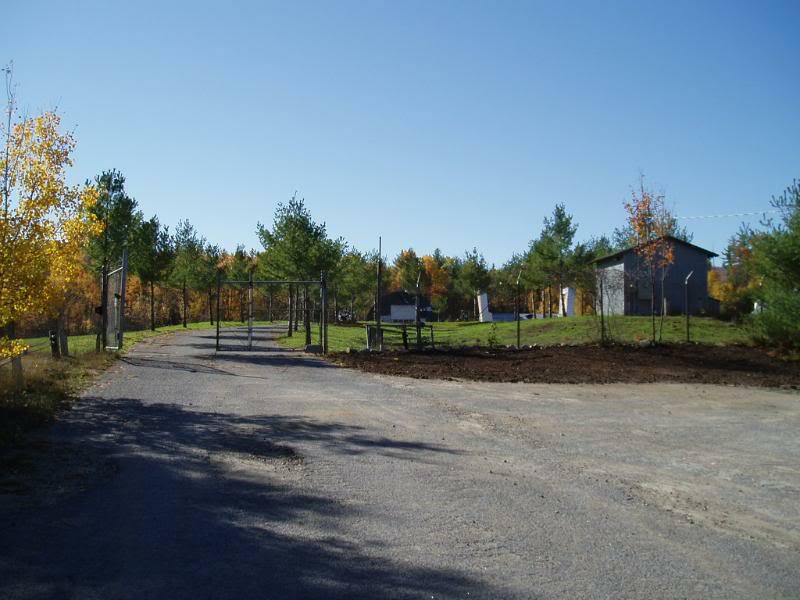 After about two hours we arrive at the predetermined GPS coordinates, and see the gate. We head up the road and park inside the gates. 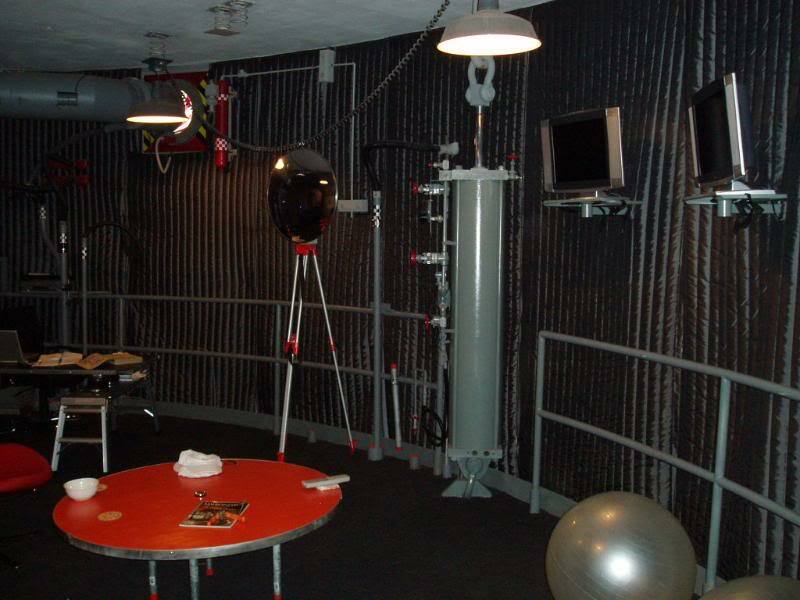 So I guess, in the back of my mind, I have always fantasized about the idea of living in a restored Missile Silo. So here's the standard layout. General Layout: These sites consist of several general elements: <?xml:namespace prefix = st1 ns = "urn:schemas-microsoft-com ffice:smarttags" /><st1 lace><st1 laceName>Command</st1 laceName> <st1 laceType>Building</st1 laceType></st1 lace>: Two stories 40 feet in diameter. 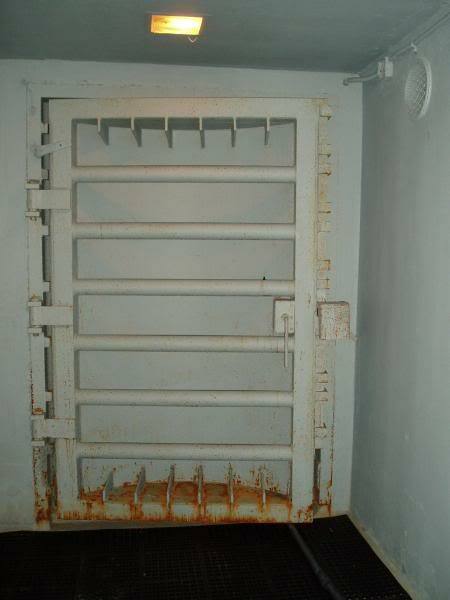 Access was by stairs and through two blast proof doors. Approximately 2,363 square feet of floor space not including stairway or vestibule. 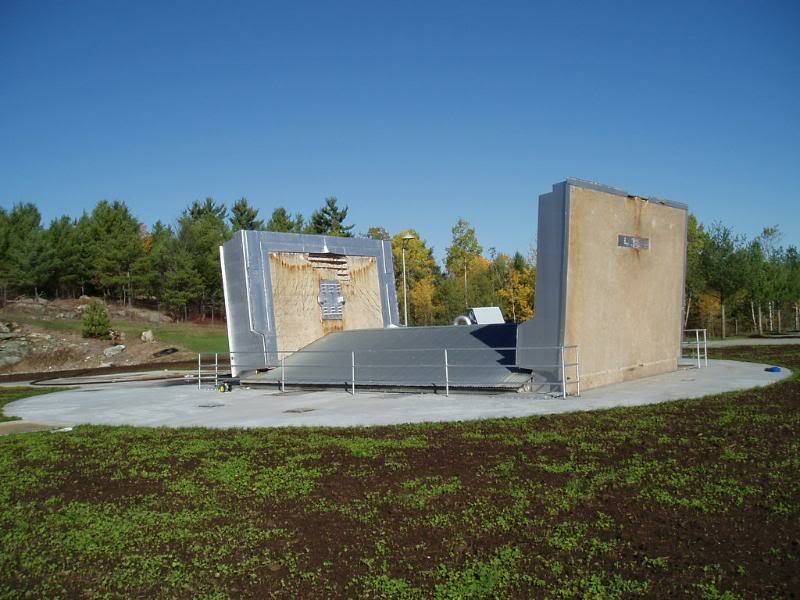 Due to the insulation of the earth, heating and cooling needs were minimal. 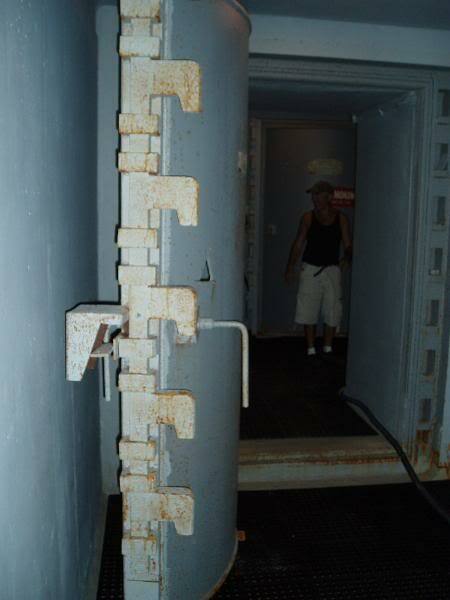 Missile Silo: The missile silo was a huge structure 50 feet in diameter and approximately 185 feet deep. 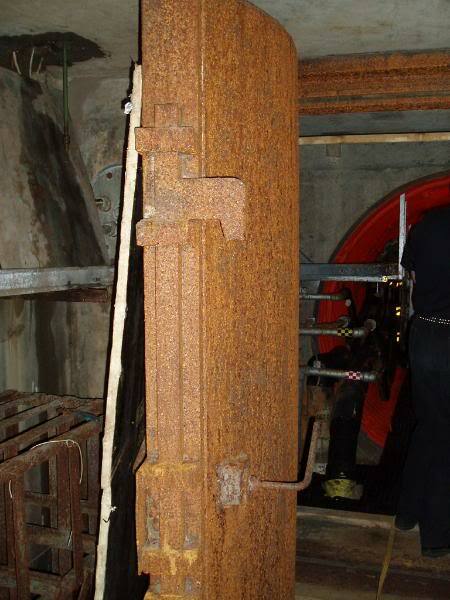 Access was from a 40 foot tunnel leading from the command building stairway. 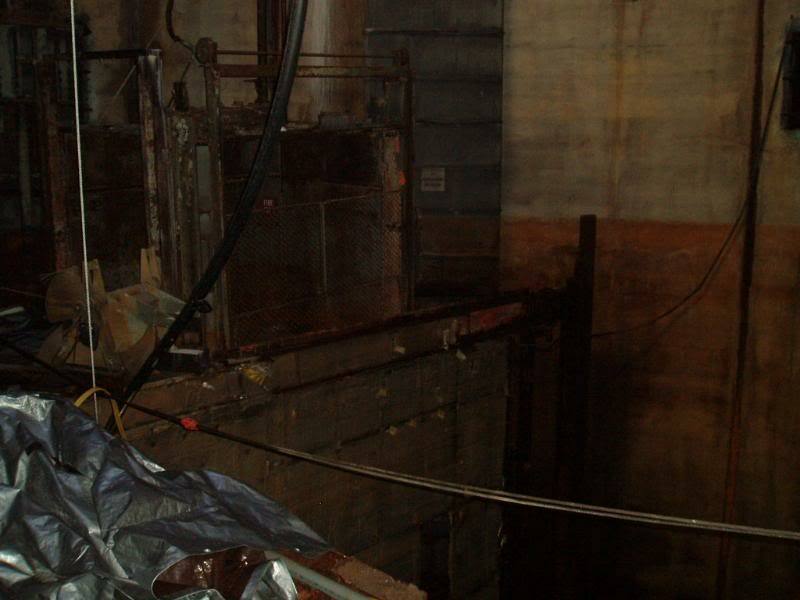 Missile silo had an approximate volume of 363,062 cubic feet. 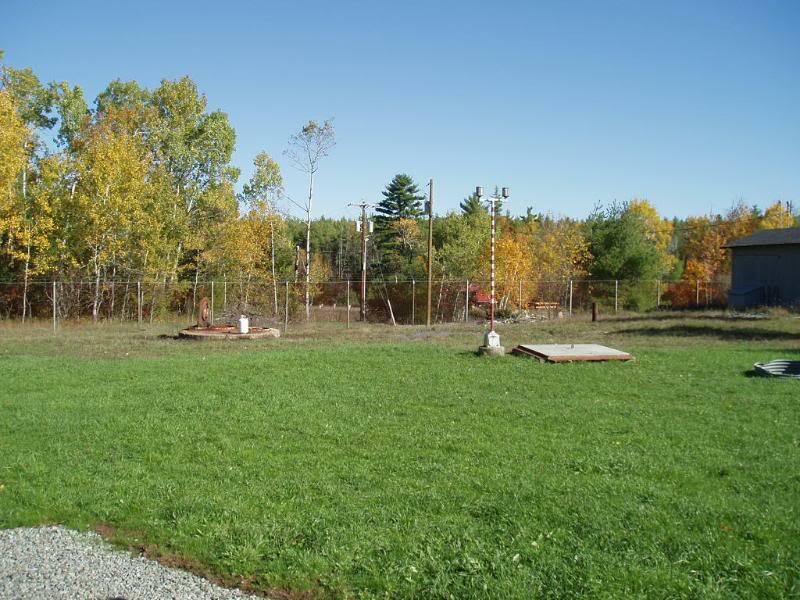 Land: Land typically was 19-21 acres. 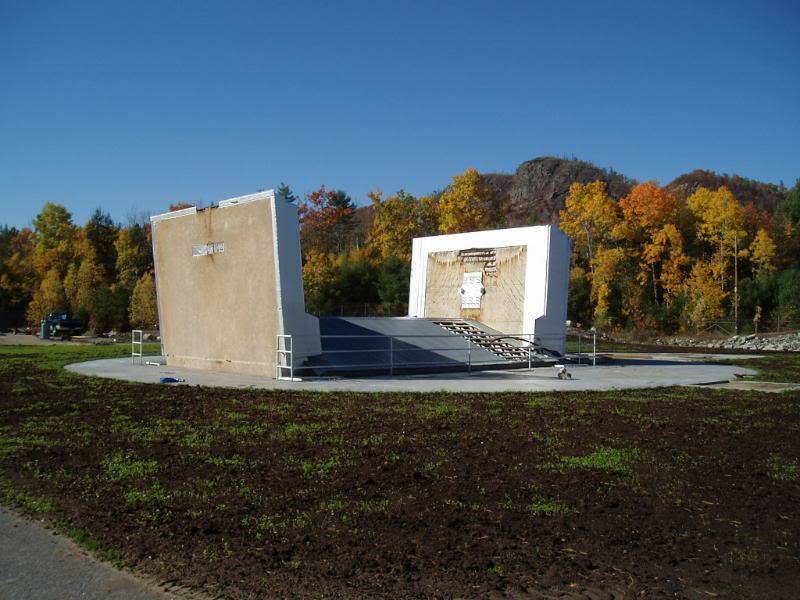 Originally, the inner 5 acres of these sites were surrounded by a barbed wire topped chain link fence. The Missle: Standing on the launch pad the Atlas was 82 feet tall and weighed 267,000 pounds when fueled. Depending on the model and payload, the missile had a range of 6,400 to 9,400 miles. 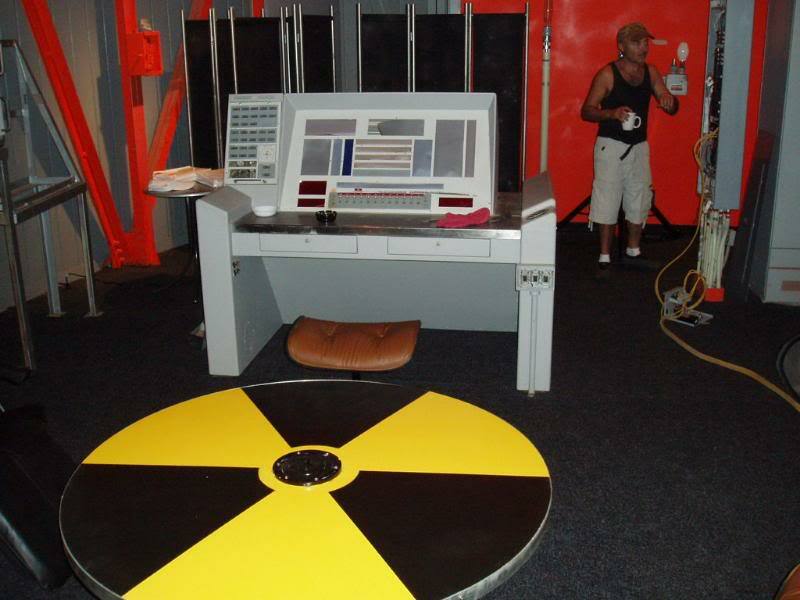 It was armed with a l-megaton thermonuclear warhead and was guided to its target by either a radio-inertial or all-inertial guidance system accurate to within 1.5 miles. As a result of Defense Secretary McNamara's 1964 directive to decommission Atlas and Titan I missile squadrons, the Atlas F missiles were removed and the 556th Strategic Missile Squadron was deactivated on <st1:date Month="6" Day="25" Year="1965">June 25, 1965</st1:date>. The Atlas and Titan I systems needed to be fueled outside the launch silo. 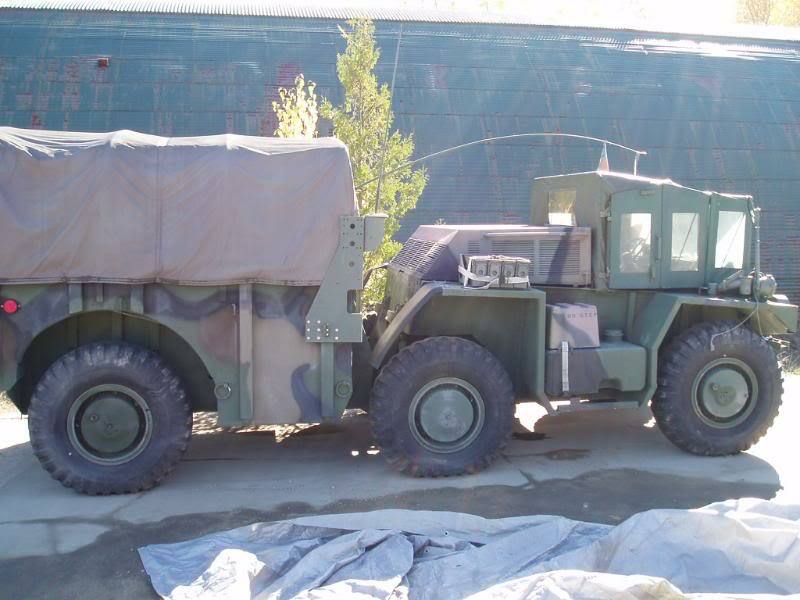 Things changed with the introduction of the US Titan II and the Soviet UR-100 missile series. Both used new liquid fuels that could be stored in the missiles, thereby allowing for a more rapid launch. These were later supersceded by the Minuteman, a solid fuel rocket. So basically, they spend $18 million (1960 dollars) in two years. 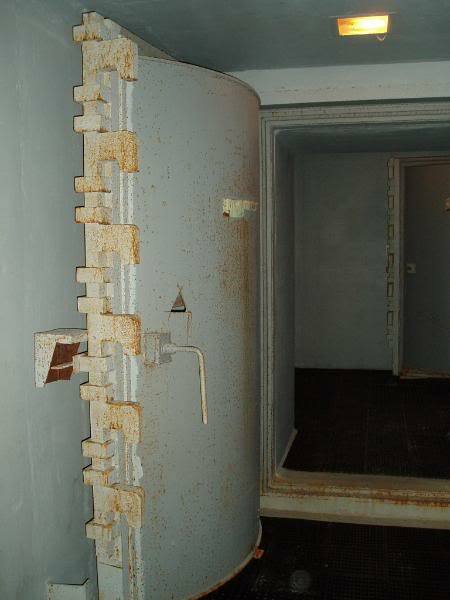 Put a missile in this fortress between 1962 and 1964, and then leave the silo behind. Sweet.... right? These Silo Doors are about 25 tons each if my memory serves me correctly. 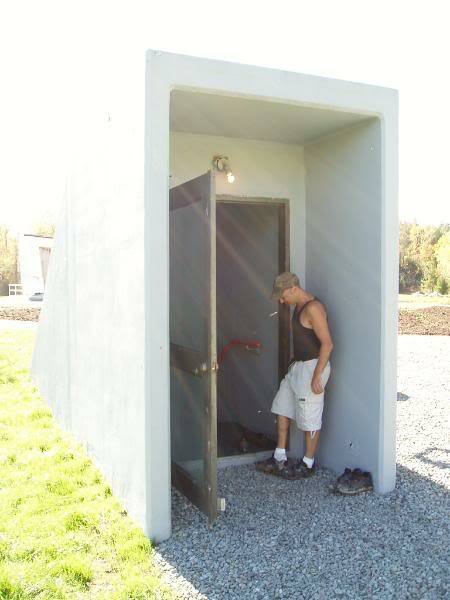 When activated, the doors could be opened in 28 seconds. 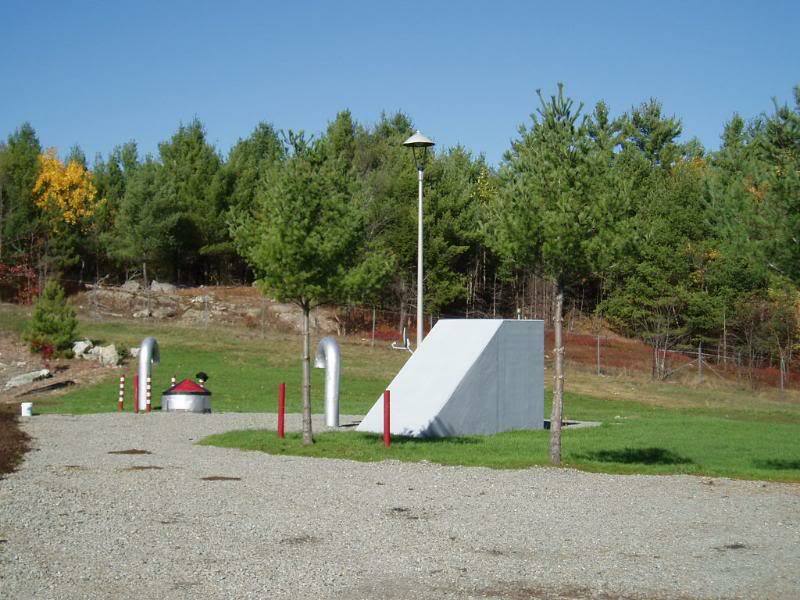 So, obviously, if it is an underground missile silo, theres not much to see up top. There's a nice lawn that Alexander (the owner) is working on. I guess it will be nice to look at from the video cameras and monitors when he's down below. The entrance to the Launch and Conrtol Center. 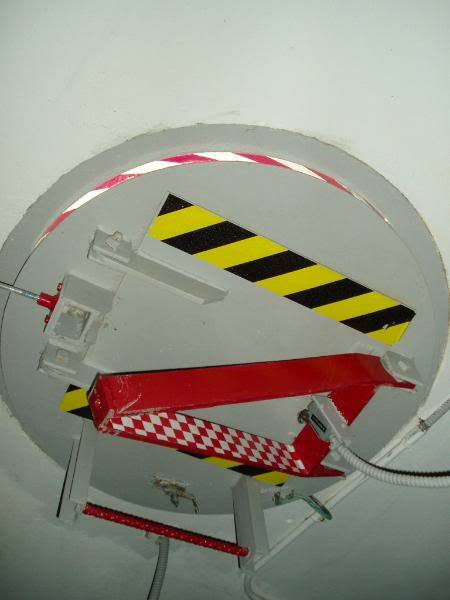 Detail of the "Emergency Escape Hatch". 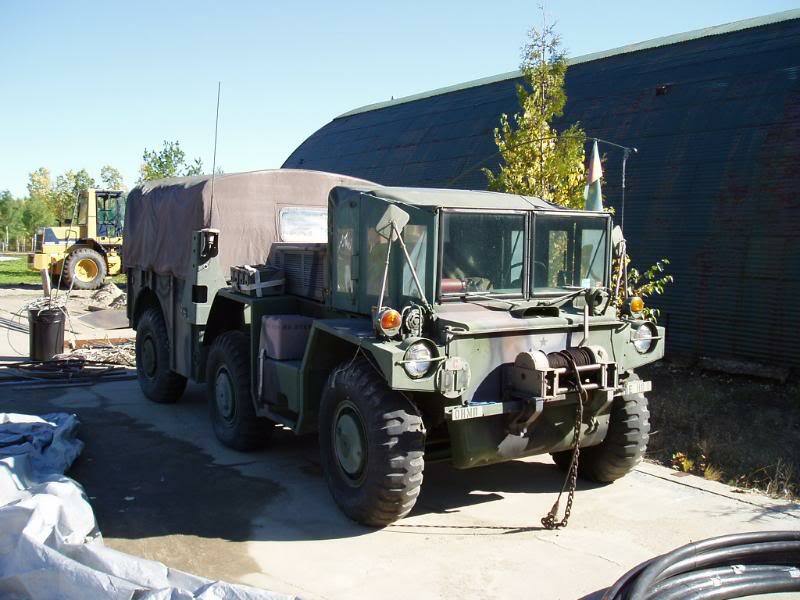 And of course, all Military Bases need some cool vehicles. And here again. You can see the Silo Doors and the entrance to the LCC in the background. Looks good man, keep it coming. Alex, our host at the entryway. Decending the first flight of stairs to the first blast doors. You turn right, walk 10 feet, turn left, walk 10 feet, turn right and you see this. 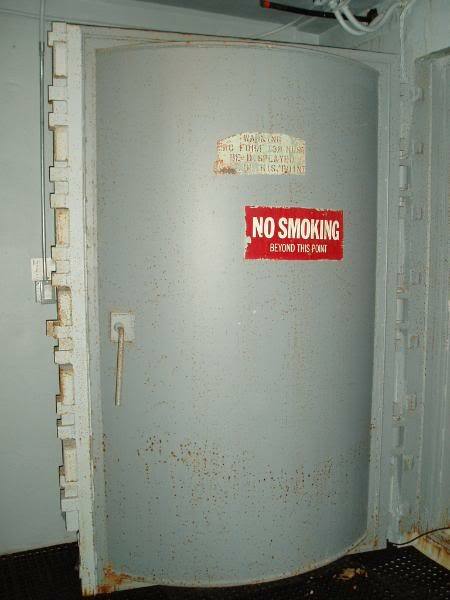 Blast Door #1. You come to the second Blast Door. 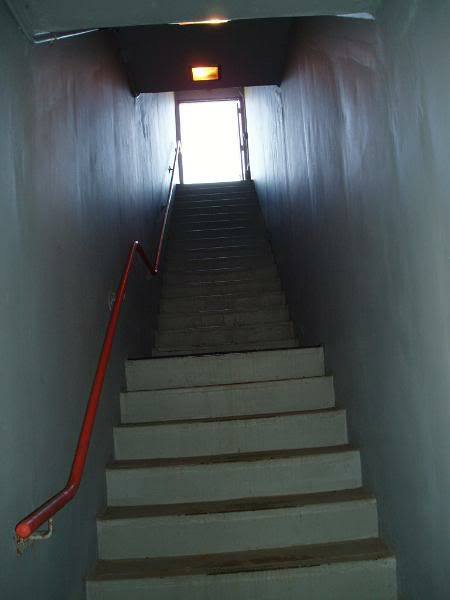 And enter the top of a three level stairway. 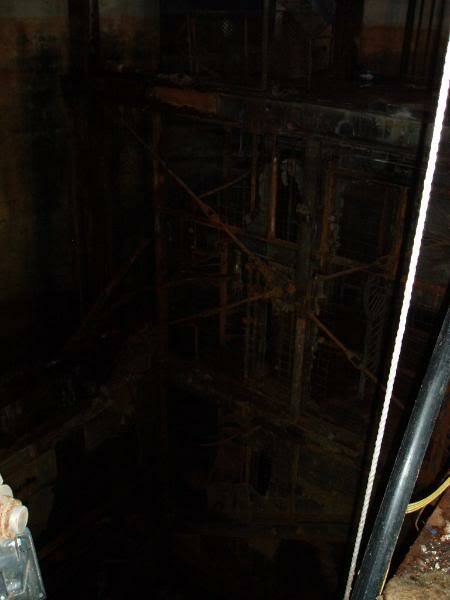 Keep in mind we have already decended about 30 feet below gound, been through 2 huge blast doors and Containment areas, and now we look down and see more. Let's go check out Level 1 of the LCC. What a flashback to my school years and the Civil Defense drills of the 60's. Awesome. Can't wait to see the rest of the pics. Great story. The first thing you notice as you enter the chamber is the center pillar. 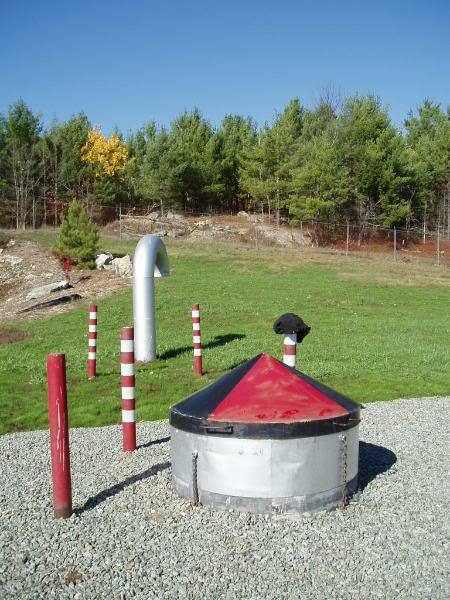 Remember that this "room" is actually a 40ft diameter steel reinforced cylinder burried about 100 feet underground. It consists of two "rings" that "hang" from air assited shock absorbers. 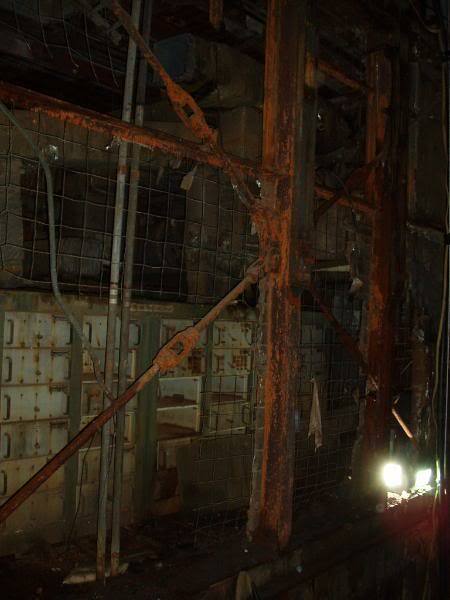 The two levels are in the same "space" hanging there from big chains and airshocks. It's a big room, and you have no idea that you are so far underground. Also notice that all the lighting fixtures in the ceiling are hanging from big springs. 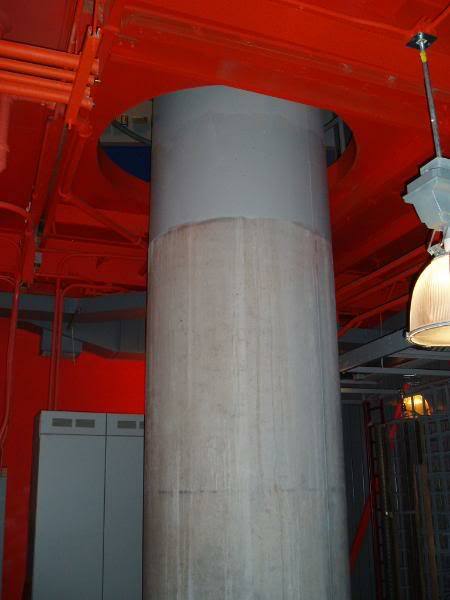 Here's the cental pillar that goes from the ground floor in Level 2 through the floor, and to the ceiling of Level 1. 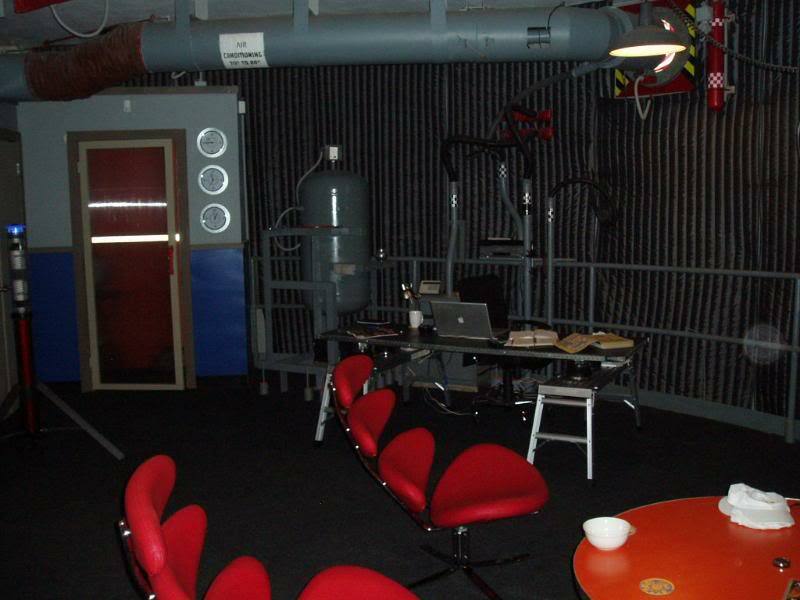 Here you can see the curved wall and one of the four suspension units. Currently Level 1 is an office and Living room with multiple monitors. There is also a bathroom, kitchen and storage area. 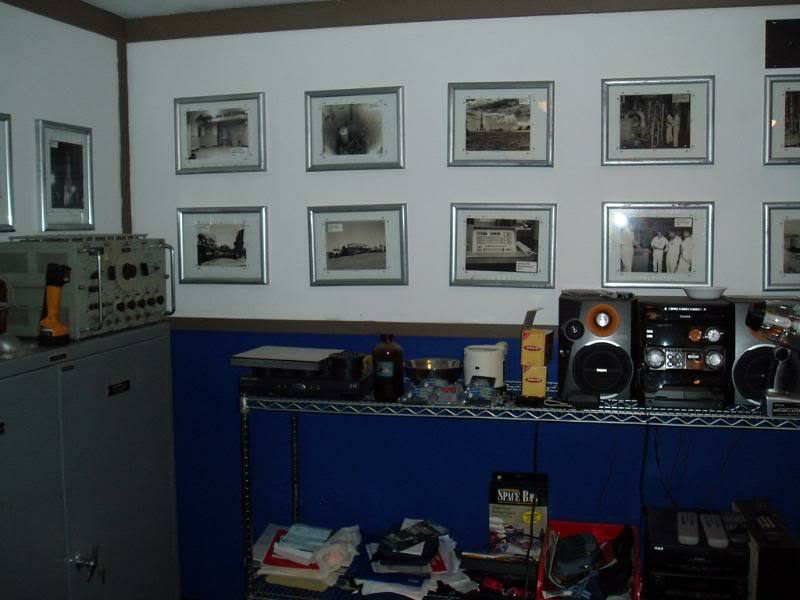 Alexander has quite a few historical pictures of the site as well. 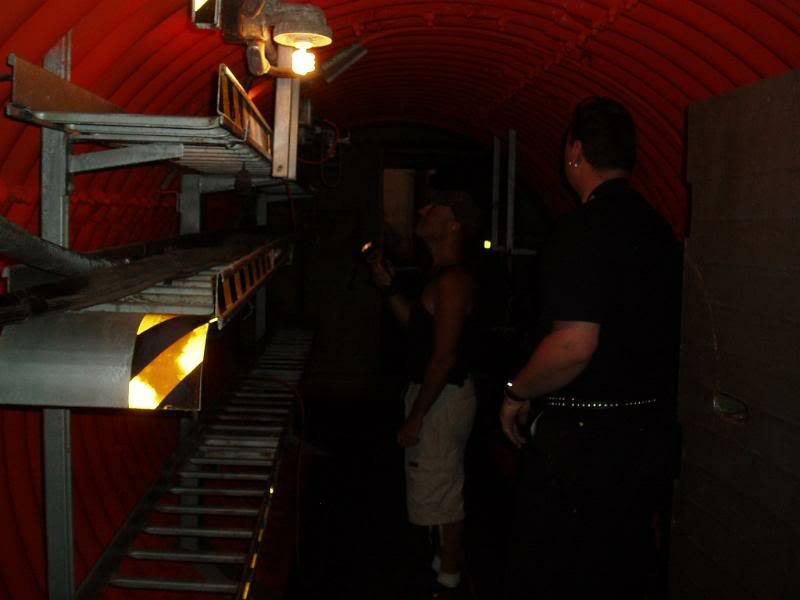 When he bought the silo nearly 10 years ago, many of the original fixtures were still there. He has kept most of them and made them into cabinets or furniture. I was facinated, and amazed to be there. I mean really. Alex told us the story behind all the clocks. He once arrived here from his ultra-long flight from Australia. 30 some odd hours of travleling, plus the drive to the remote location of his silo. He went to sleep. When he awoke, he had no idea what time it was or how long had passed. He was completely disoriented with the combination of the jet-lag and the underground location. He went "up top" only to find it was the middle of the night. 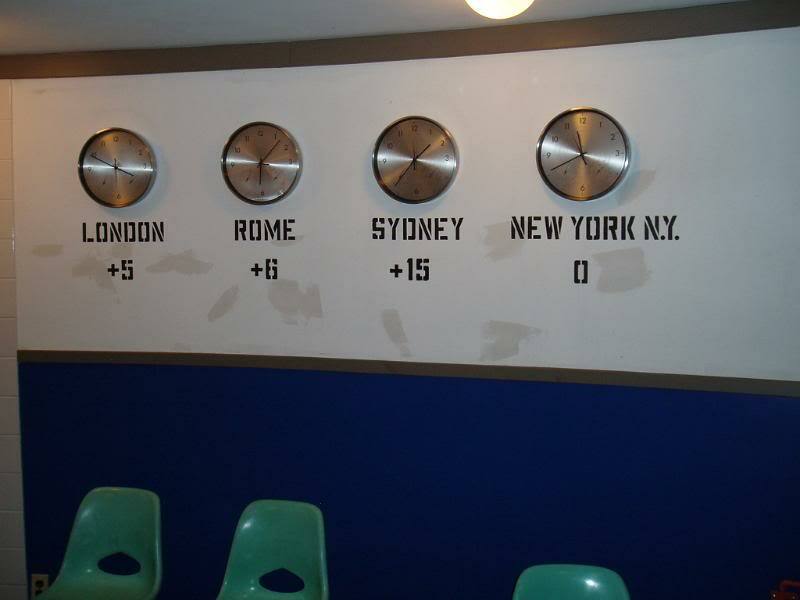 The next morning he went and bought a whole bunch of clocks. 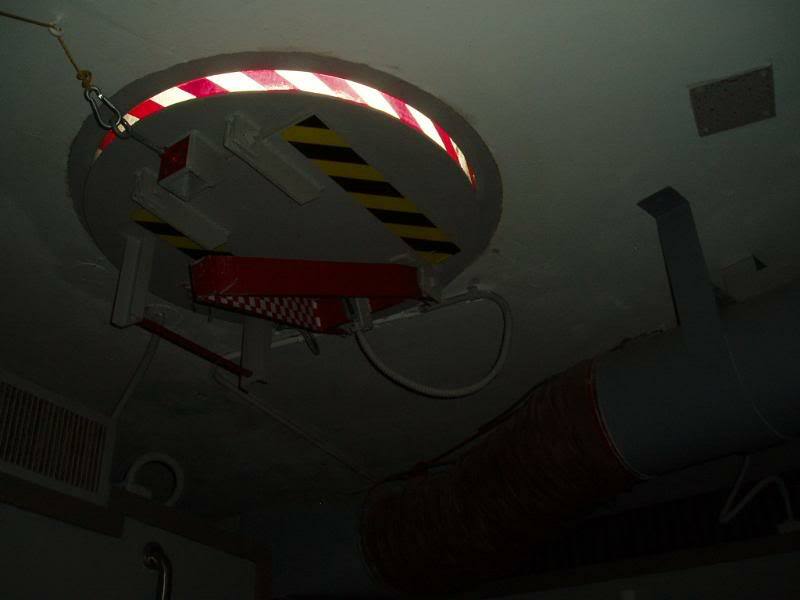 So when on Level 1, if you look in the ceiling you see this. It's the emergency escape hatch. Remember the center pillar, well if you pull the handle there, this door pops open, and emptys itself of four tons of sand. 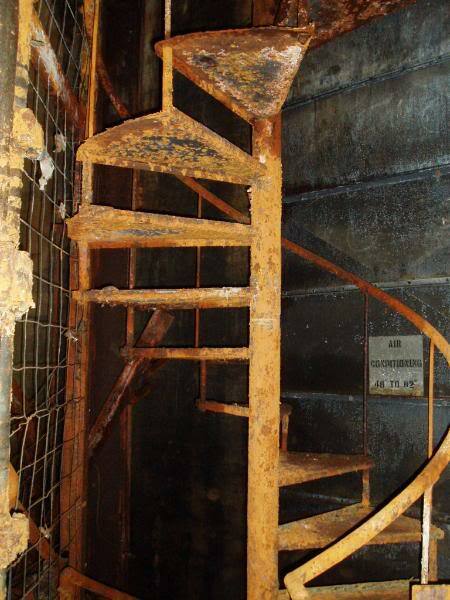 Once the sand drains, you would climb up the ladder into...??? On to Level 2 of the LCC. Love it! When I lived in AZ I used to explore all the old Titan II silos. Keep it coming! 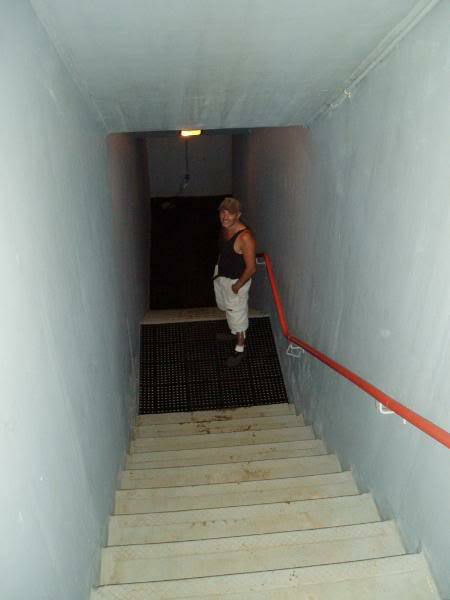 So after a cup of tea, we go back out into the main stairwell, and decend to the next level down. This is the second of the to hangng disks that make up the floors of this LCC. As you enter you again see the large central piliar. As you look up, you see that the floor upstairs does not touch the walls or the pillar. It is free hanging! 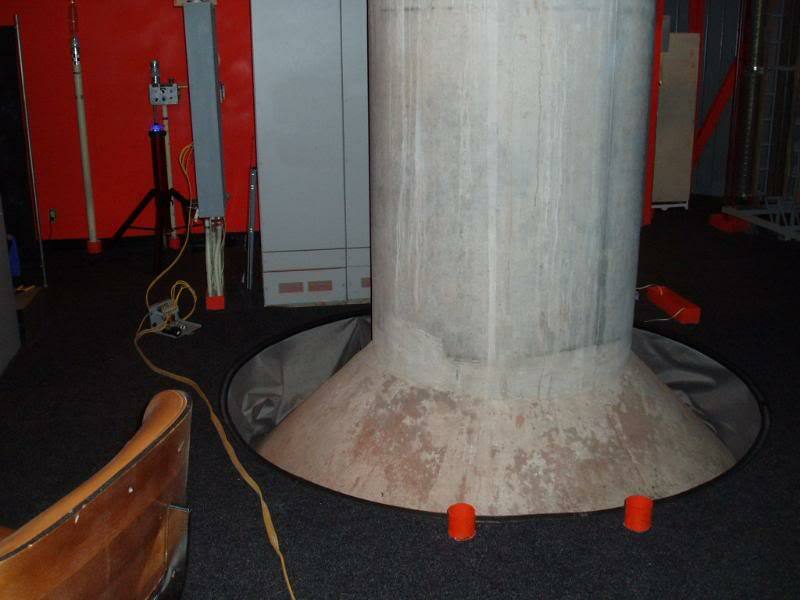 Here's the base of the pillar and again a free riding floor. 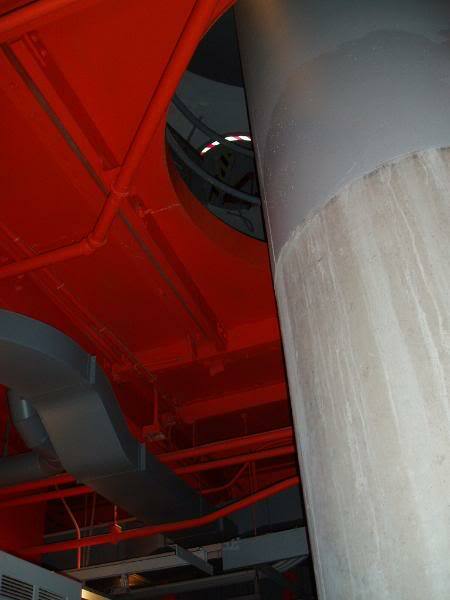 From this angle, you can look up and see the "Escape Hatch" on the ceiling of the first level. Behind this coffee table was the main launch computer terminal. Two men would turn their keys at the same time, push a button, and 50 feet away, in a silo next door a rocket would come to life. I love the "space bag" on the shelf. It's ironic how an age when we were under constant threat of nuclear obliteration can seem so wholesome now. We left Level 2 and went back into the main stairwell. So far this place has been a dream come true. It's everything I imagined and so much more. It's hard to beleive it's real. This is NOT a Disney Ride, this is not a model or a museum recreation. This is the REAL deal. One of the most devastating threats the world has ever known, used to live here. 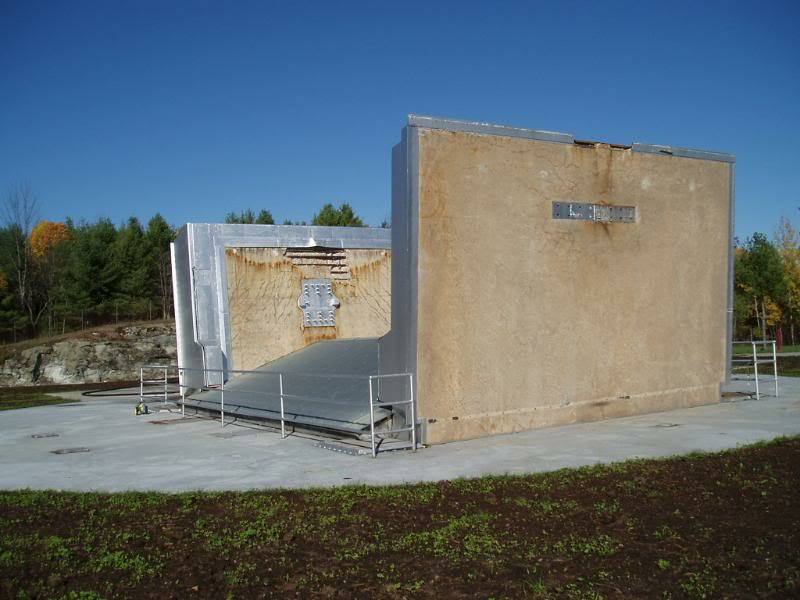 A "living breathing" rocket, with a nuclear payload, was housed here. 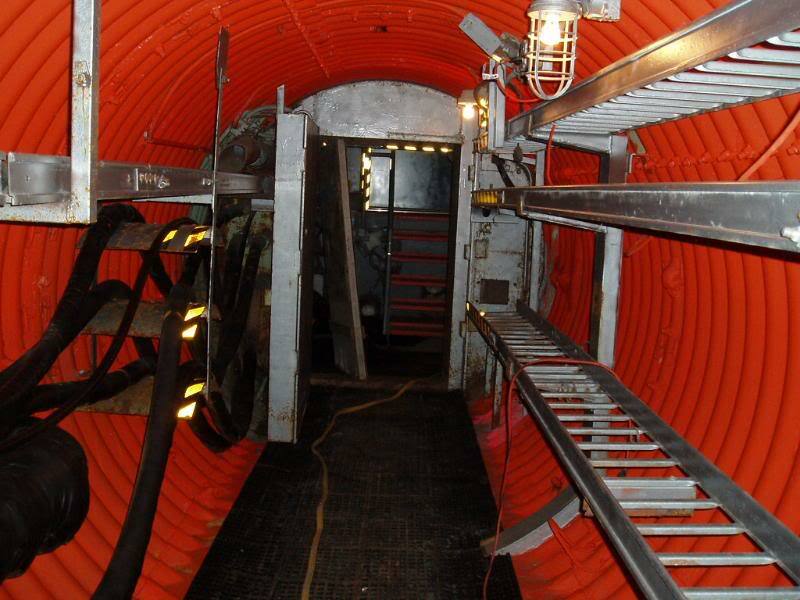 So we go downstairs another level, pull open another blast door, and enter the 40 foot long tunnel that connected the LCC with the Missile Silo itself. Through the second blast door. You know, the one that prevents the burning rocket exhaust from entering the LCC and killing everyone upon launch. 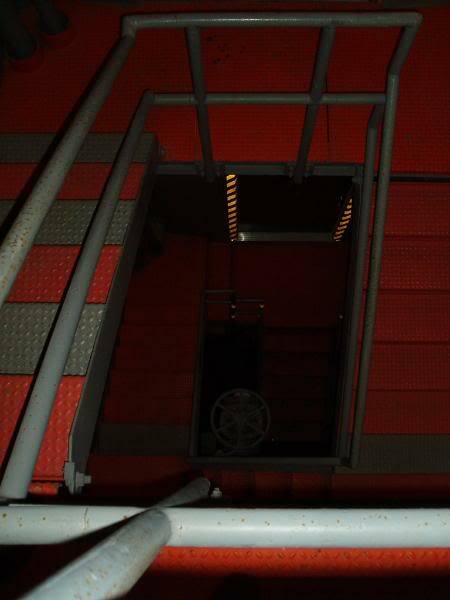 As we enter the main Silo, we are warned to be very careful. The rusty metal grates that make up the floor are weak, and may break, so stay on the beams, and don't lean too far over the edge... there's no guardrail. It's HUGE. We're only on level 3. There are 5 more levels below us. The space is bigger than I could have imagined. The flash on my camera would not illuminate the far wall when I tried to take pictures. Some light was comming in from the roof by the open Silo Doors at the surface. In the faint light one could see the metal "skyscraper" that cradled the rocket, and housed all the air conditioning, and fueling equipment. It had it's own freight elevator. 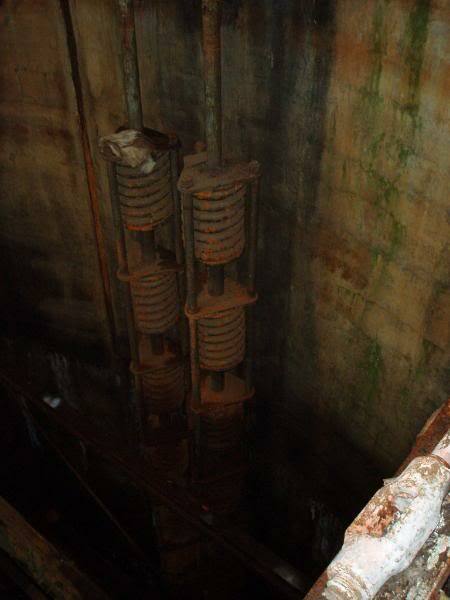 In this picture, you can see the huge springs that made up part of the stabilizer system. 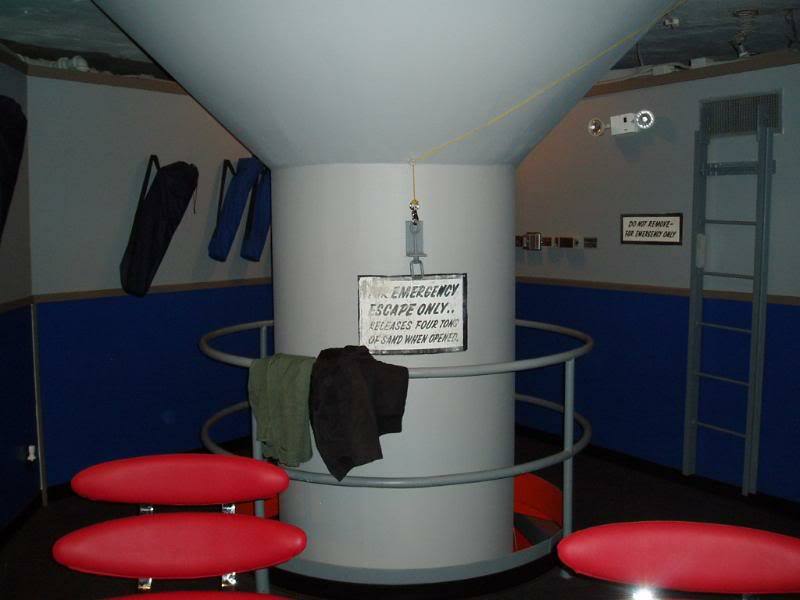 Remember this 7 story tall metal structure, that holds the rocket and launch equimpent, is suspended and isolated from the surrounding concrete silo. Want to climb down a level? 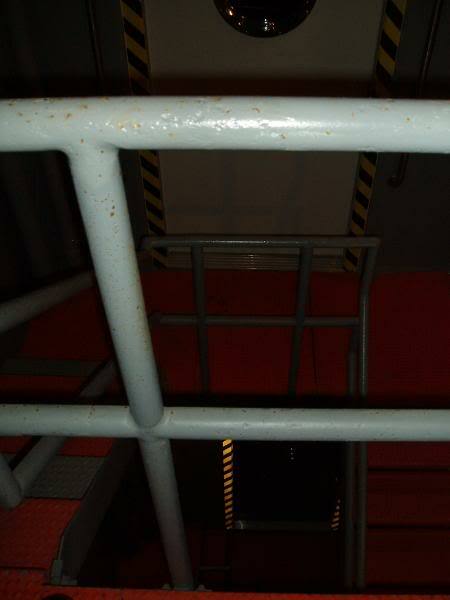 We were told to watch our step, stay towards the center of stairs, don't depend on the handrail, and try not to touch anything.